Chipotle has long deliberately limited its menu to the basics: burritos, burrito bowls, tacos, and salads -- with a few notable extras, like chips and guac or queso on the side. And although people have demanded additional choices such as quesadillas, nachos, and the like for years, the burrito empire hasn't budged. Until now. On Thursday, Chipotle officially revealed the future of its menu and, well, it more or less includes what you've been asking for all this time: quesadillas, nachos, avocado tostadas, upgraded salads, milkshakes, and margaritas. 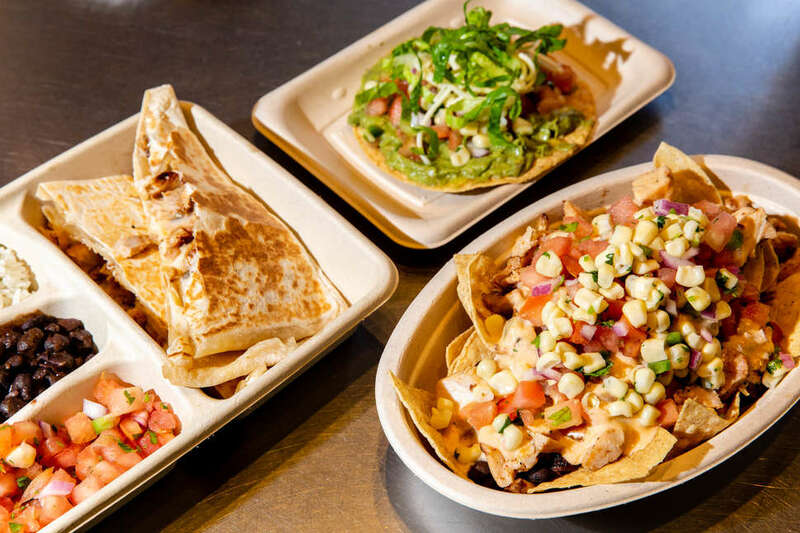 At its experimental test restaurant in New York, Next Kitchen, Chipotle Chief Marketing Officer Chris Brandt and Executive Chef Chad Brauze showed off the new menu items to reporters, saying each of the new foods are in various stages of the development process. None of them are rolling out to Chipotle locations nationwide. At least, not yet. Brandt said the goal is to create excitement and conversation around Chipotle's menu, and that requires innovation. Translation: everyone is super tired of the same old burrito bowls, so we need to change things up a bit. "From a menu standpoint, our philosophy for developing new menu items is kind of threefold," he said. "First is, give consumers what they're asking for and what they want. The quesadilla and nachos -- we're excited to be able to deliver those. The second part of that is giving consumers things maybe you had in the past that want back, something like chorizo. The third piece is, how do you develop some unique items that are differentiated that will bring people in [like the tostadas and milkshakes]?" Depending on how well the new menu items are received by customers at the test kitchen in NYC, they'll be pushed along to more locations, and eventually, a nationwide rollout. 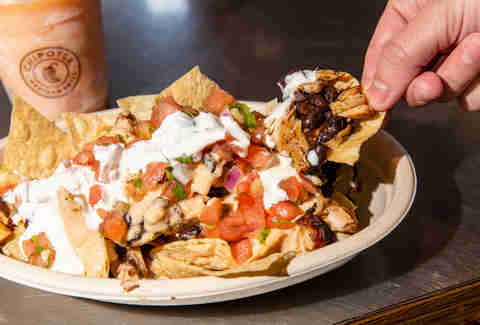 Out of the handful of new options, the chain's first-ever nachos entree is the closest to launching at every Chipotle restaurant, Brauze said, without going so far as to admit they're long overdue, but getting pretty close to that. We've been loudly wondering why Chipotle doesn't serve nachos for years now. We'll happily take credit for making this happen. You're welcome. Chipotle said quesadillas have long been among its most-requested menu items. Some locations will even make you an off-menu quesadilla today if you ask nicely, but it takes a few minutes -- way longer than a burrito -- to make them and holds up the rest of the line. 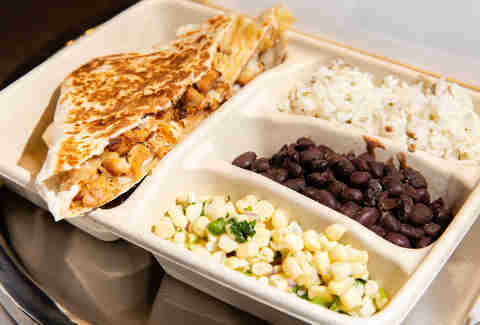 Chipotle's new quesadillas (shown above) take only about 30 seconds to make on all-new equipment, according to Brauze. The result is a crispy, grilled quesadilla that's stuffed with cheese and your choice of meat, fajitas, or sofritas. Along with quesadillas, people (including Thrillist) have been asking Chipotle to serve nachos for years now. How it's taken this long to approach a nationwide launch is unclear, especially considering they're made with existing Chipotle ingredients: corn tortilla chips, queso, and whatever meat, beans, salsas, and lettuce you'd like. 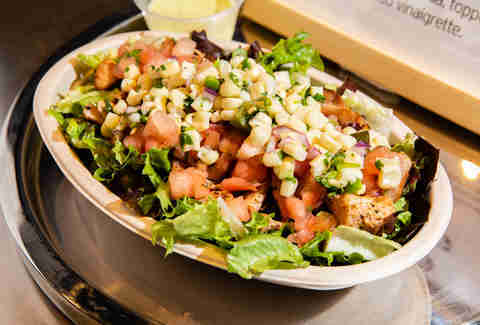 Unlike a hearty burrito or burrito bowl, this new concept is meant as more of a midday snack than a meal, Brauze said. Chipotle describes the tostada as its own version of avocado toast, and we all should have seen that coming. 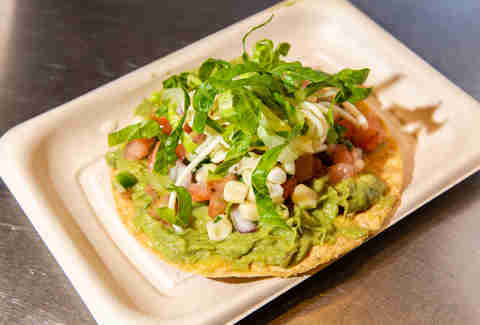 They make it by frying a corn tortilla flat, then topping it with guacamole, salsas of your choice, lettuce, and cheese. Unlike the salads you can order at your local Chipotle, this salad features a new and improved lettuce blend that includes romaine, tuscan oak, tuscan red leaf, and lolla rosa. The star of the show, however, is a new Avocado Citrus Vinaigrette dressing that’s made with avocado, citrus, and cilantro. 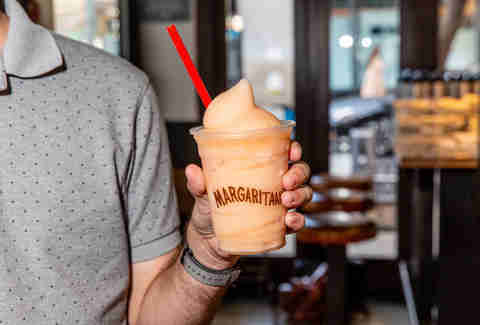 This very much alcoholic beverage combines the sour and tangy grapefruit flavors of a paloma with the sweet and boozy tequila flavors of a frozen margarita. 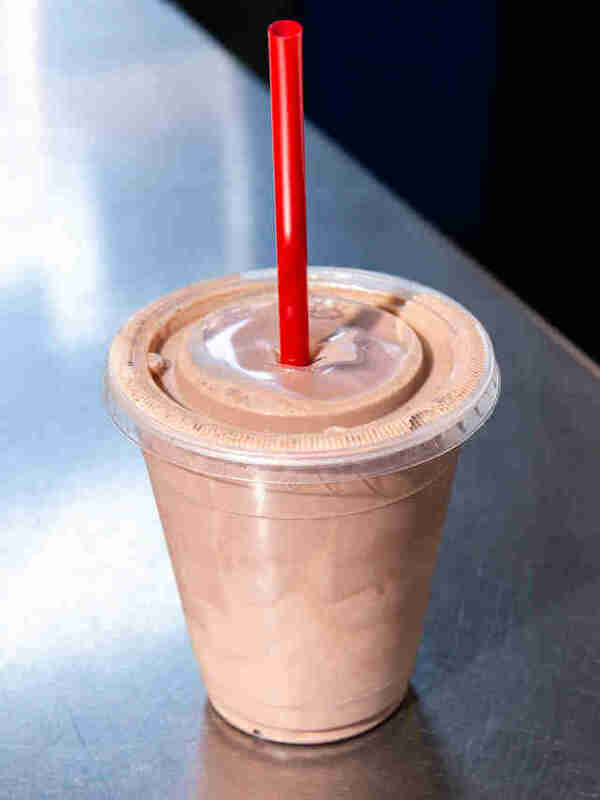 Chipotle said this milkshake -- another first for the chain -- is based on traditional Mexican cocoa. Cocoa is, of course, among the main ingredients of the shake, along with cinnamon and a little bit of spice for a slight kick. It's creamy and decadent... and probably the last thing you should order if you already have trouble finishing your burrito. Chipotle can’t screw this up, and they know it. After critics and customers widely panned Chipotle’s first-ever queso dip when it debuted last year and with the stigma it still seems to carry after food-borne illness outbreaks rocked the chain in 2015, Chipotle has a lot to prove. This may explain its slow and guarded approach to adding these new options to all of its more than 2,500 locations. Chipotle can’t screw this up, and they know it. And yet, the unveiling of the new future menu items could be the first steps toward a turning point for Chipotle, which still hasn’t fully rebounded from the food-borne illness crisis in terms of sales and customer loyalty. The move comes just a few months after the company hired former Taco Bell chief Brian Niccol to take over as CEO after Founder and former CEO Steve Ells stepped down from the helm. Even Brandt is new in his role as Chief Marketing Officer, having replaced Mark Crumpacker in March. Change is clearly underway at Chipotle. But enough of the business implications. The important thing here is that Chipotle is finally going to serve quesadillas, nachos, and more sometime in the near future. It’s about damn time. Tony Merevick is Senior News Editor at Thrillist and could really go for some chips and guac right about now. Send news tips to news@thrillist.com and follow him on Twitter @tonymerevick.